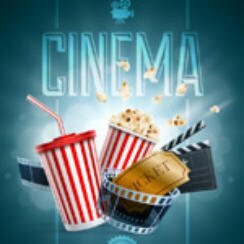 Popcorn Cinema Show takes a look at the weeks movie releases (1st January 2016) for the UK, US, Australia and New Zealand at the cinema, along with their trailers. So it’s 2016 a new year but what’s new at the cinema? Well for those of you in the United States you have The Hateful Eight, although this actually came out on 30th December, whilst here in the UK we have Jennifer Lawrence in the film Joy. The CEO of Disney Bob Iger, in a interview with Bloomberg News, confirms more Indiana Jones movies are on the way. Although who will star in them remains unknown. Yes I know you didn’t see this coming, but Star Wars The Force Awakens remains top at the box office, taking an insame amount of money. What do you think will be top next week? May the force be with you!!! So is there anything worth watching this week? Hell yes check out Tarantino’s western The Hateful Eight if you get a chance and Jennifer Lawrence in Joy looks a good bet although none of here have actually seen it yet. Why not bookmark Popcorn Cinema Show, and never miss a new release!